CT4870F-225WSA – WaterSaver Faucet Co. Mounting: For installation on vertical or horizontal surfaces (such as pipe chases and service carriers) where there is access behind surface during installation. Threaded mounting shank is inserted through hole in surface and secured with locknut and washer. Valve Unit: Floating tapered stainless steel needle and replaceable stainless steel seat. Handle: Color-coded molded nylon hooded handle with colored index disc. 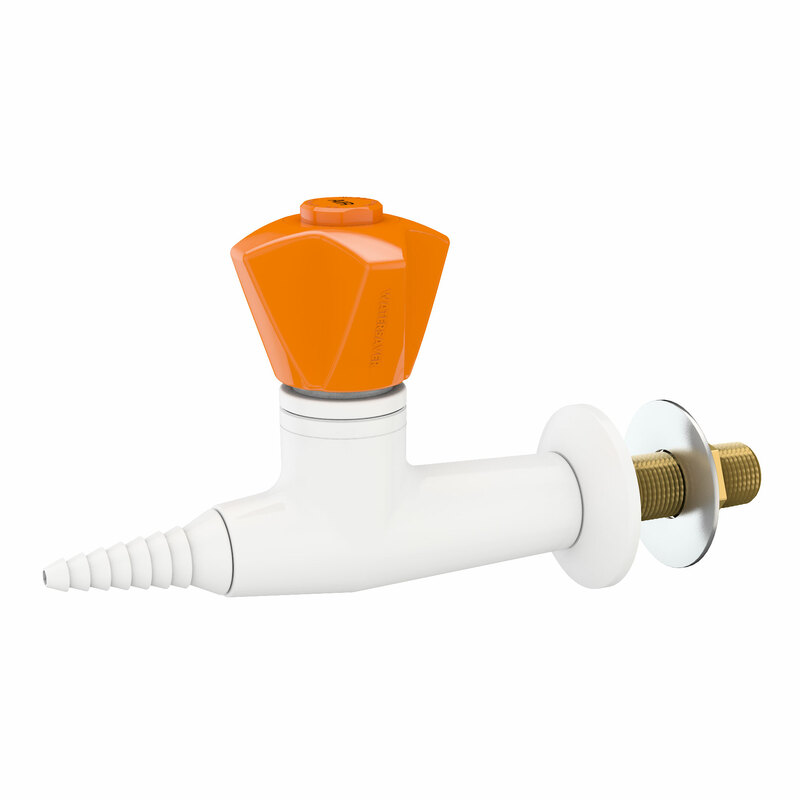 Outlet: 3/8″ NPT female outlet with removable seven serration hose end.